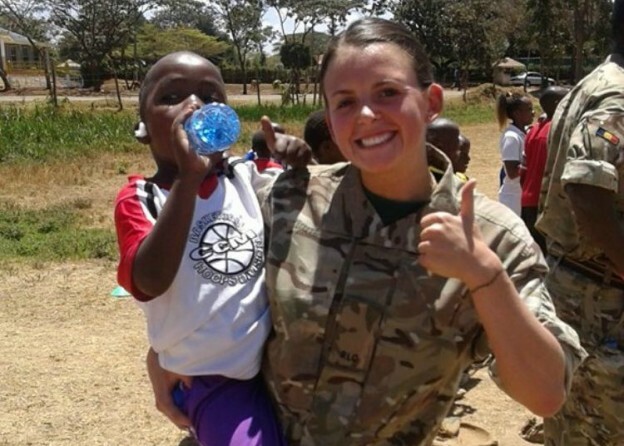 LCpl Elysia Martin of 29 Regiment is making an outstanding contribution to public life including working tirelessly to help the homeless in Gloucestershire and further afield in Nairobi. A regular voluntary support worker for homeless foundations in the Gloucester and Swindon areas, she has sacrificed huge amounts of her personal time to support disadvantage persons. This example of selfless commitment has earned her the Pride of Buxton award which garnered heavy media attention. Of the 37,000 nominations for the award, all of whom have made exceptional contributions to society, she was acknowledged with the top prize sponsored by Very.co.uk. True to form, LCpl Martin refused the prize, a holiday abroad and instead at her insistence, the funds were redistributed to a silver service dinner for those in need. In the margins of ceaseless unselfishness, LCpl Martin finds time to support the Regimental welfare office, running weekly youth clubs. On her most recent deployment she helped in an orphanage in Nairobi, Kenya where she befriended a child with HIV, with a hole in his heart. She later ran the Nairobi half marathon to fund his treatment and his medicine, which has remedied his condition.